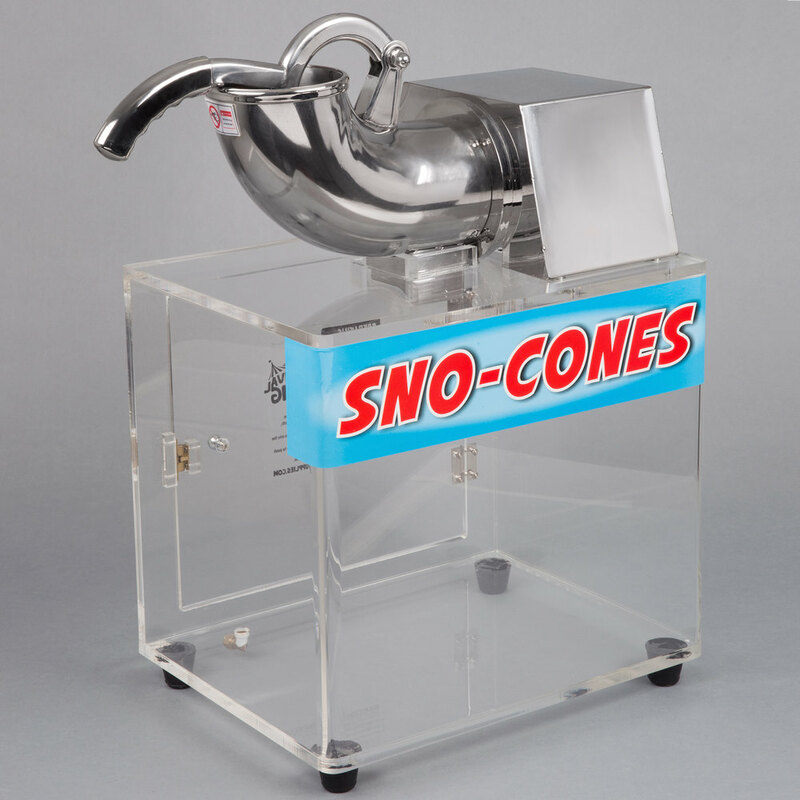 Serve delicious snow cones in a variety of tasty flavors with the Carnival King SCM250 snow cone ice machine! This ice machine can grind up to 500 lb. of ice per hour to ensure you have a constant supply of ice during your busiest hours. Its 4 1/4" diameter hopper makes it easy to drop ice into the grinding mechanisms, while the ergonomic handle has a comfort grip so you can effortlessly press down on the ice for processing. The hopper is made of stainless steel for long-lasting durability, and its 1400 RPM motor is designed to give you the power and reliability you need throughout the day. And thanks to its 1/2" rubber feet, you can be sure this unit will stay in place while in use. Great for concession stands and carnivals, customers will enjoy a refreshing snow cone during the hot summer months!